After three demanding hours of memory testing and MRIs starting at 6:45 a.m, sophomore Monica Collins walked out of the UCLA testing center on Jan. 24 with not only a sizable cash reward, but also with a sense of pride for giving back to her community. 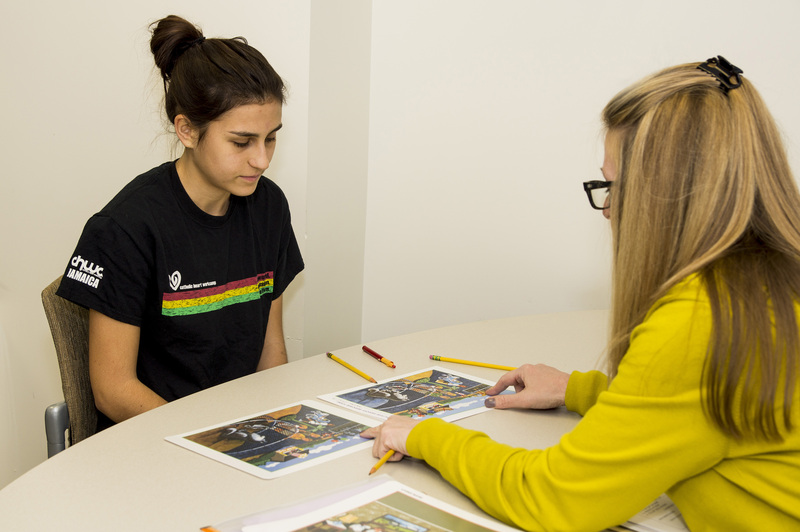 The research study, created and conducted by Dr. Nancy Pike, is designed to test the memory, cognitive and self-care skills of children and teens with congenital heart disease (CHD). Collins was a healthy control that matched the age and ethnicity of Allison Miller, who has CHD. Her interest in a career in the medical field led Collins to participate because she wanted to learn how research studies are conducted and also about CHD. “It was also pretty cool to be a part of something that could actually benefit others and could make an impact on how we study heart disease and the brain,” said the Tolog. After entering the warm but empty waiting room of one of the many UCLA medical buildings, Collins and her mother were escorted to the MRI room by Dr. Pike. Even that early in the morning, Collins was greeted by a large and friendly team of nurses and students who were going to assist Dr. Pike during the day by taking pictures and setting up the participants in the MRI machine. “They were all very into what they did and really believed in what they were working on and had a passion for what they were doing,” Collins said. Participants first spend at least 30 minutes filling out several consent forms which not only officiate the study, but also inform the parents and teenagers of exactly what it entails. After all the paperwork is signed, a series of MRIs are taken, which last for about 45 minutes. During an MRI, the participant has to lay completely still inside the tube-like machine to ensure the best possible scan of the brain. The small space and lack of motion sometimes proves to be difficult for participants, but not for Collins. The study concludes with a smorgasbord of written and oral tests designed to assess the participants’ thought processes, short-term memory and long-term memory. After finishing the test, Collins and her mother wandered around the beautiful campus of UCLA and had breakfast nearby. “It was fun. It was interesting to take place in something that is going to help others and further the scientific research of congenital heart disease,” said Collins. —Carra Liwanag. Photo by Marilyn Woo.